Our product range includes a wide range of asbestos cloth (1.5 mm), special asbestos cloth, asbestos hand gloves, safety asbestos hand wearing gloves, roving fiberglass and jointless asbestos cloth. 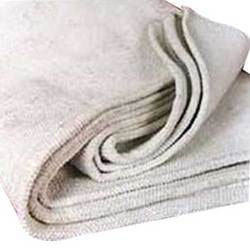 We are manufacturer for supply of Asbestos Cloth (1.5 mm) with monthly capacity of 300 rolls of 50 m for the supply to various traders & manufacturer all over India. This primarily used in making hand gloves, aprons,f ire suits, lamination sheets etc. 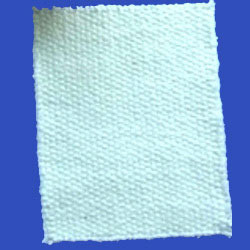 Special Asbestos Cloth offered finds application in the construction of hand gloves, aprons, blankets as well as in many other applications. 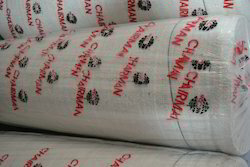 The cloth used here is made available in three different grades including 750gm, 850mm to 900gm and 1.05kg per meter ratio. These cloth find use in construction of gloves that are like S-20 or AMC-41 hand gloves. We can also customize it in terms of finishes as demanded by the customers. We hold expertise in manufacturing and supplying a wide assortment of Asbestos Hand Gloves. These gloves are available with inside cotton lining. Besides, optimum quality asbestos cloth is used to manufacture these gloves, which is similar to AMC - 41. known for their for wear and tear resistance & fine finish, these gloves are widely demanded by the customers. Safety Asbestos Hand Wearing Gloves offered are designed and developed using quality asbestos cloth and is developed to provide adequate safety to the hands of workers who are directly in contact with hazardous material. These asbestos hand gloves also come with flannel lining support as well as come with features like water proof finish, superior resistance against temperature and capability of efficiently handling very hot items in an industrial setup. 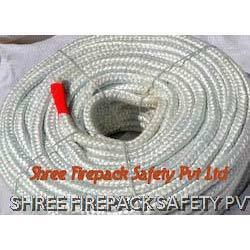 Shree firepack safety pvt ltd specializes in offering qualitative range of Roving Fiberglass.Also our range of product include like yarn, ropes,cloth,webbing tapes,fire blanket,aprons,suits,welding blanket,coated & uncoated fabrics made of asbestos,non asbestos material like glass fiber,cermaic fiber & silica. In order to comprehend and meet the assorted demands of clients, we are offering a wide range of Jointless Asbestos Clothes. The offered range is strictly checked on different parameters to ensure its adherence with the international quality norms and standards. Moreover, the offered range is known for making cloth products like aprons, welding blankets, hand gloves and allied. We are a distinguished firm, which is engaged in offering a comprehensive range of Commercial Asbestos Clothes. These products offered by us are made utilizing high grade raw material and innovative technology in complete adherence with the international quality norms and standards. 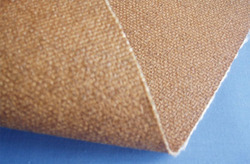 Along with this, the offered range of commercial asbestos clothes available with us is tested stringently utilizing innovative techniques to maintain its authenticity throughout the manufacturing process. 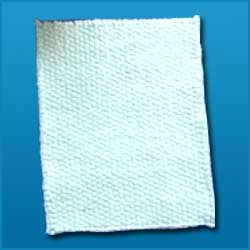 Industrial Asbestos Cloth offered is developed using asbestos wires through vertical & horizontal knitting processes and provides working as an insulation material for heat-preservation of pipes. 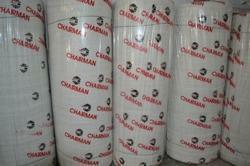 Further, the cloth can also be used for making gloves, rubber liner materials and working garments. Other than this, the asbestos also finds use in clamping of metal threads. We are able to gain immense expertise in delivering a wide and comprehensive range of Asbestos Cloth Products. These products offered by us are available in different customized specifications and forms in accordance with the diverse requirements of esteemed clients. Along with this, the offered range is developed utilizing highly modern machines and latest techniques in adherence with the international quality norms and standards. 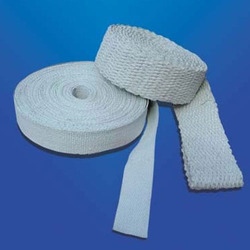 Commercial Webbing Tape offered are constructed using woven asbestos yarn that does not get loose upon using. These webbing tapes also come with properties like superior electrical as well as heat insulation properties as well as tensile strength that makes these tapes perfect to be used in diverse applications. We are a prominent Fire Glove manufacturer and supplier based in India. 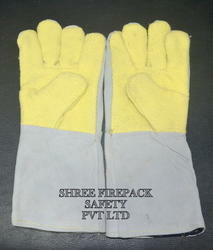 Shree firepack safety pvt ltd specializes in offering qualitative range of Fire Glove. Also our range of product include like yarn, ropes,cloth,webbing tapes,fire blanket,aprons,suits,welding blanket,coated & uncoated fabrics made of asbestos,non asbestos material like glass fiber, cermaic fiber & silica. 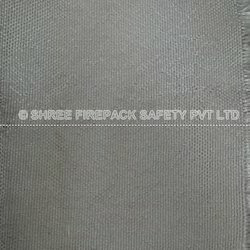 Shree firepack safety pvt ltd specializes in offering qualitative range of Woven Fiberglass Roving.Also our range of product include like yarn, ropes,cloth,webbing tapes,fire blanket,aprons,suits,welding blanket,coated & uncoated fabrics made of asbestos,non asbestos material like glass fiber,cermaic fiber & silica. 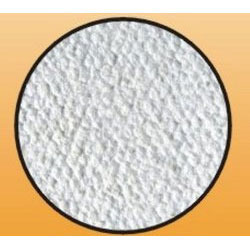 Use This high temperature, heat and flame resistant thermal insulating vermiculite coated.